OUR MISSION: is to come together as a community to support homeless families as they work to provide their children with loving homes. Create home like accommodations: rather than being separated based on gender or age, families stay together in an environment that is comfortable, private, and safe. Cost efficiency: low expenses are maintained by using existing community facilities and resources, and by relying on volunteers. Comprehensive services: families are given support with finding employment and housing. Networking: local congregations come together to work as a united community to serve families in need. Provide educational experience: for both the guests and the volunteers. Building communities and strengthening lives: We do this by adapting and building gaps to serves based on the needs of Skagit Valley. This is only possible through a team approach with local, churches, community members and businesses networking together to shine a light in the darkness for homeless families in Skagit Valley. 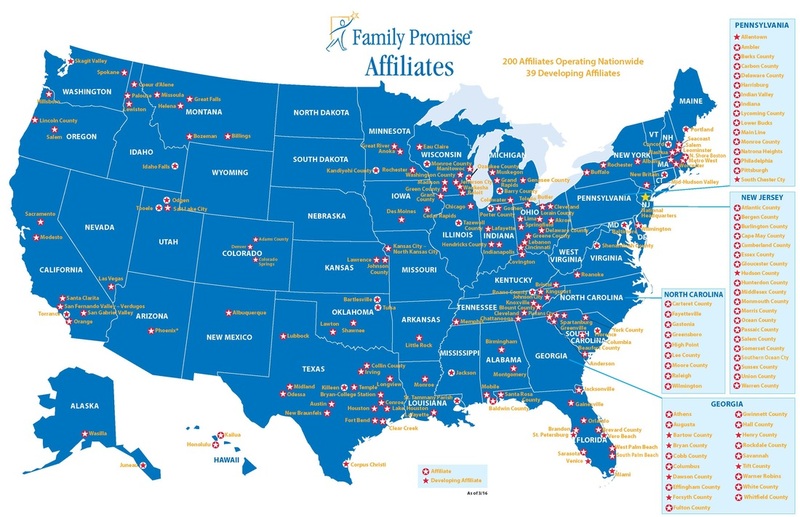 FAMILY PROMISE OF SKAGIT VALLEY is the 192nd Family Promise affiliate in the United States. There are over 200 affiliates operating nationwide and 39 more affiliates in development. Over 6,000 congregations and 160,000 volunteers make up these affiliates across the nation.